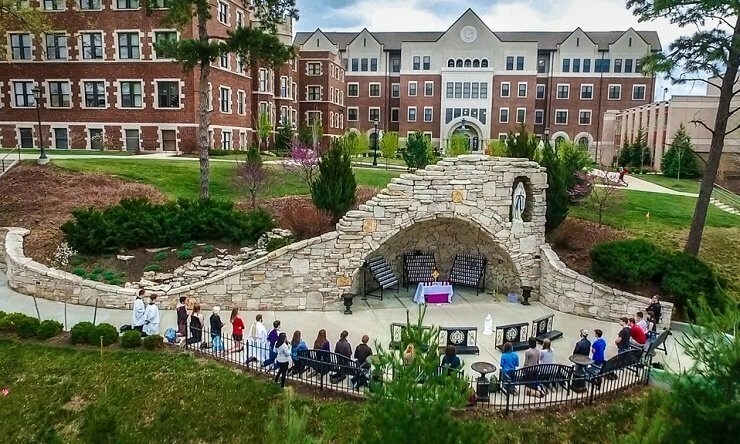 Benedictine College will observe a day of prayer and fasting for religious liberty on Wednesday, March 23. Note: Picture above was taken from the March 2016 event after the fact. That is the day 35 plaintiffs, including the Little Sisters of the Poor, begin oral arguments before the Supreme Court in the Little Sisters of the Poor v. Obamacare case, Zubik v. Burwell. “We need to be vigilant in defense of religious liberty,” said President Stephen D. Minnis in announcing the day. A Eucharistic Hour at Mary’s Grotto at 9 a.m. as oral arguments begin. St. Martin’s Memorial Chapel student Mass will be dedicated to this intention at 12:10 p.m. Eight hours of Eucharistic Adoration for Religious Freedom in St. Martin’s Memorial chapel, starting at the end of Mass. 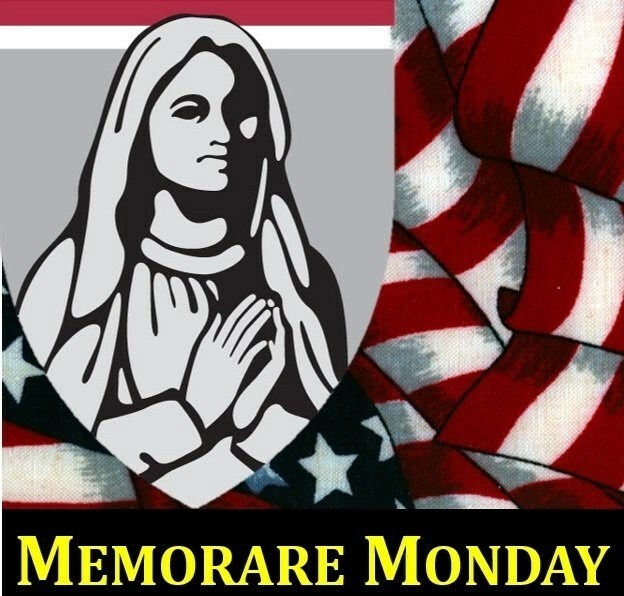 The Abbey bells will ring for one minute at 9 a.m.
Members of Benedictine College’s national Memorare Army for Religious Freedom have pledged more than 3 million Memorares for religious liberty. Members will be asked to participate in the day of prayer and fasting. President Minnis said it is important to stand up for religious liberty at this critical time when the Little Sisters of the Poor are being threatened. Dean of the College Dr. Kimberly Shankman stressed the importance of fighting against the HHS Mandate, which attempts to force Catholic institutions to violate Church teaching regarding abortion and contraception. 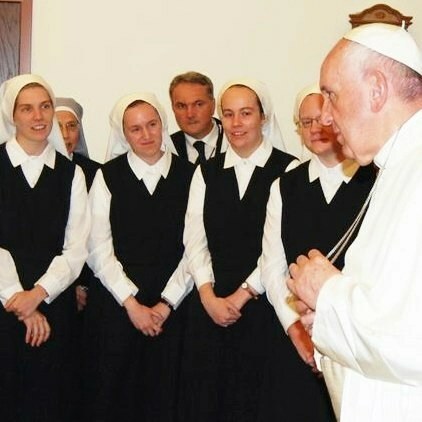 Picture: Pope Francis encouraged the Little Sisters of the Poor including Sister Bernadette Spelic, a Benedictine College graduate (left).